Via DovBear, here is the front page of the New York Times for Nov 26, 1942. Front page stories on Fall Gas Rationing Ordered by the President, Dewey to press income tax cut, Victory Prayers Voices in Service at White House. LONDON, Nov. 25 -- Nearly a third of Poland's Jewish population -- 1,000,000 persons -- has perished in three years of German occupation, Dr. Ignacy Szwarcbart, Jewish member of the Polish National Council in London, told this correspondent today, amplifying Polish Government information on the new Nazi onslaught on the Jews. Did Moshe inscribe his staff with locusts? יג וַיֵּט מֹשֶׁה אֶת-מַטֵּהוּ, עַל-אֶרֶץ מִצְרַיִם, וַה נִהַג רוּחַ-קָדִים בָּאָרֶץ, כָּל-הַיּוֹם הַהוּא וְכָל-הַלָּיְלָה; הַבֹּקֶר הָיָה--וְרוּחַ הַקָּדִים, נָשָׂא אֶת-הָאַרְבֶּה. 13 And Moses stretched forth his rod over the land of Egypt, and the LORD brought an east wind upon the land all that day, and all the night; and when it was morning, the east wind brought the locusts. The ב in בארבה means bishvil, for the purpose of. We could also say he is stretching his staff and thus extending locusts over Egypt. Midrash is to read this hyper-literally and assume that Moshe was somehow commanded to extend a physical locust. In the matter of the locusts. And if in its [simple] implication, there is a secret there. כי טעם בארבה שארבה שם במטה. ואין זה נכון. רק הטעם בארבה בעבור שיבוא. Rabbi Moshe HaKohen said that the meaning of בארבה is that there was a locust inscribed upon the staff. And this is not correct. Rather the meaning of בארבה is so that they [the locusts] will come. And it appears that in his old age, in France, in his long commentary he retracted (/reviewed?) and pushed off the words of Rabbi Moshe HaKohen and cast the "secret" behind his back, so as not to reduce the miracle to bring it closer to the intellect, as was the position of Rabbi Moshe HaKohen which he had maintained at first in the short commentary in Italy. Or, a student wrote the short commentary from his dictation and added and changed certain matters of his own accord. And see in parashat Naso, the bitter waters, there is a secret, and this is like this matter. And so too parashat Korach, הקטרת which was known, against the plague, there is a secret, and that is like this. See there in the supercommentators. And all this is from the short commentary, which is associated with sefer Bamidbar. 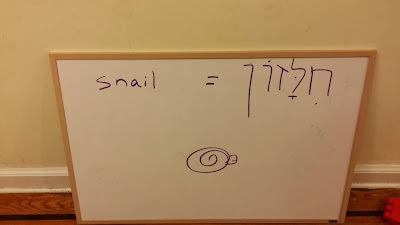 And see earlier, I wrote in the name of the introduction to Ohel Yosef that Ibn Ezra's way was only to write Chachmeinu or Kadmoneinu, and not Rabotainu, which is not the language of Scriptures, but only the Aramaic language or Talmudic language. However, in the [Josh: long] commentary which he wrote in France, there is found in every place the language of Rabbotainu. (TODO: Record here a few examples.)" At first, I misread the above, thinking that here he backs up the all-too-easy assertion that a talmid toeh wrote the theologically uncomfortable positions in Ibn Ezra, via a linguistic argument. Because we see all these instances of רבותינו, which Ibn Ezra wouldn't write. But this was a misreading, because he suggested that a talmid toeh recorded and added to the shorter version, while the longer version is the one with רבותינו. So I am not sure what that linguistic argument is, exactly. Maybe that this change in word choice demonstrates that there were two separate authors. I don't really see much difference between the shorter and the longer versions in this case. 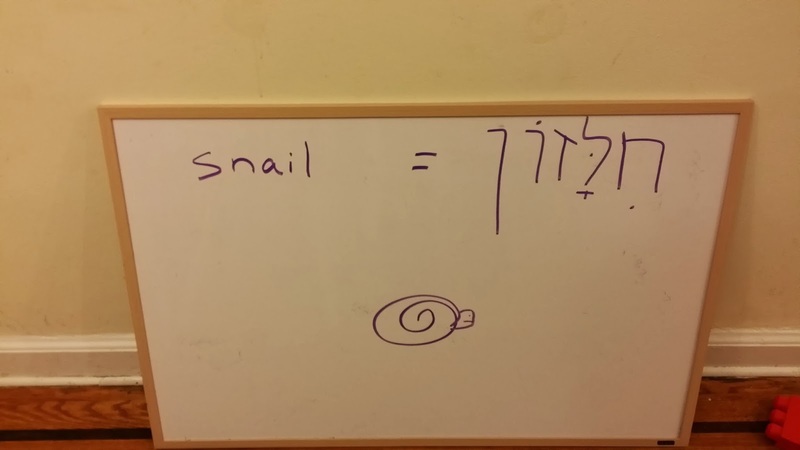 In the short version, he decides in favor of it meaning בדבר הארבה, and I would argue that this is simply because it makes for better peshat, while the inscribing locust explanation, labeled כמשמעו, is more midrashic. True, Ibn Ezra does grant it some slight purchase, but I wouldn't say that he endorses it. In the longer version, he more firmly rejects the sod, as well as explains what that sod is. Presumably he cannot reject that sod without making it clear what he is rejecting. So, while there is a change of mind, I would characterize it as a solidification of his position against the sod. Why conceal the sod in the first place? Yahel Ohr says , ר׳׳ל זה הוא הסוד שאין ראוי לגלותו, שלא יחשבו שזה היה בכח המזל ילא במאמר השם. Perhaps. I would have guessed other answers, that (1) he doesn't want to be put in cherem by his less open-minded contemporaries, or that (2) since it involves summoning powers on high, this is Ibn Ezra's scientific / philosophical mysticism, which is nistar rather than nigleh. 1. YUTorah on parshas Bo. Darshening psiks in parashat Bo -- Birkas Avraham interprets three of them. I present them, with minimal comment. 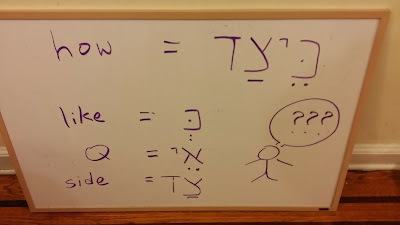 Why the plural לֵילֵי in Targum Onkelos regarding לֵיל שִׁמֻּרִים? Grammatically, it functions fine as a singular. But some remez based on a plural interpretation. Why does Rashi discuss עד בכור השבי in a pasuk that does not state it? It is not evidence that Rashi had a different girsa in the pasuk. I think it is just bringing in a related derasha, where it is apprpriate in context. What various meforshim suggest. Milah of slaves meakev korban pesach -- a real Scriptural interpretation or a rabbinic decree? Shadal suggests it is a decree, but everyone agrees what the peshat and actual meaning of the pasuk is. Then, a lengthy presentation from Shadal in Kerem Chemed as to the nature of Bet Hillel and Bet Shammai. Why were they called that, if Hillel and Shamai almost always agreed. And I present my own resolution to some of the difficulties posed..
A censored Onkelos and Rashi in parashat Bo -- דְּיִשְׁתַּמַּד in Onkelos and ישראל משומד in Rashi were perceived as offensive to Christians, and so some texts cross them out or replace them with more innocuous alternatives. Bo sources -- further improved and expanded. Westbound locusts -- was Rashi a Flat Earther? Why, according to Rashi, did the locusts come from the east? Nimukei Rashi investigates, as do I. Is the Rambam Torah-Code Against Chazal? A masoretic codex (Hilleli) and a Rishon (Rikanti) both record different texts in the Chumash. each of these would mess up the neat 50 skip pattern. similarly, there are a number of other variant textual readings recorded, which would also mess up the 613 skip. this is in like with the statement of the Amora Rav Yosef that we don't have all the yuds and vavs correct, and we are not experts on which should be where. 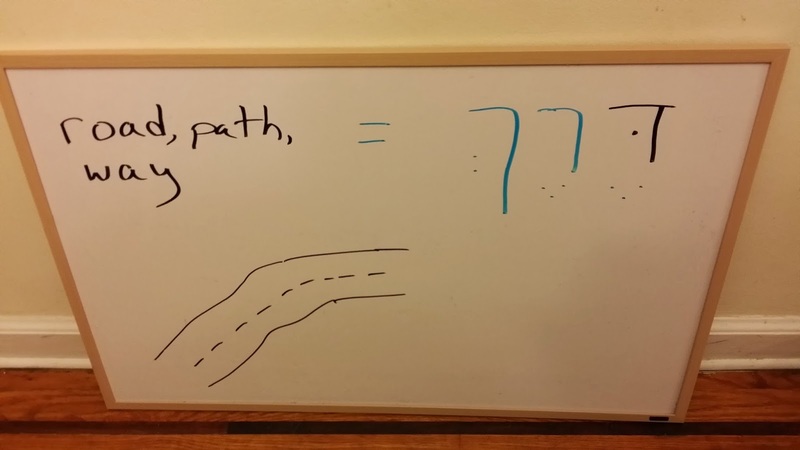 this effectively undermines the Rambam Torah code. Bo sources -- over 100 meforshim on the parsha and haftara, organized by topic. Bo as "come to Pharaoh"? Does it make sense to tell someone to come to person X, instead of to go to person X? I favor Baal HaTurim's answer over that of Avi Ezer. 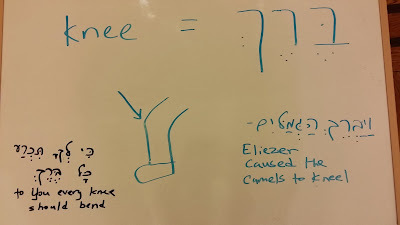 Was Ibn Ezra's comment that וְאַחֲרָיו לֹא יִהְיֶה-כֵּן is prophecy written by an erring student? What will we say about Ramban, then? Avi Ezer thinks a fairly frum comment of Ibn Ezra is quasi-heretical, and so frumly suggests that it was really written by an erring student. But then he would end up calling Ramban an erring student; and besides, there is a ready answer to just what novelty Ibn Ezra is suggesting. The non-surprising chaser vav in Leshono -- should we darshen it? 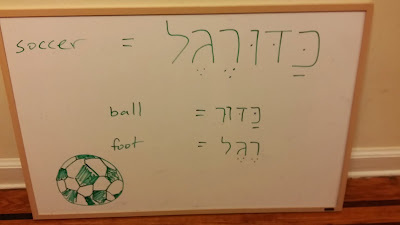 In Midrash Lekach Tov, a derasha on a chaser spelling of a word. But is it fit to make such aderasha, when this is the entirely expected spelling? 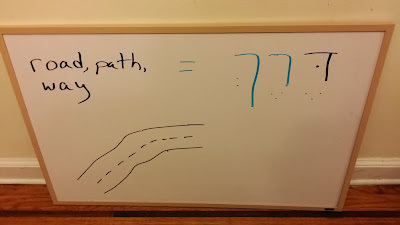 The masorah regarding the spelling of mezuzot -- Since the word ha-mezuzot appears in parshat Bo, Minchas Shai discusses the issue of the spelling of mezuzot in VaEtchanan and in general. There is a Rashi in VaEtchanan which darshens the word against the masoretic spelling. And this is one example of divergence among many? How can we deal with this? Shall we harmonize it, or leave it alone? I explain why I think the text indeed diverges. How do we count the 480 years? Assuming we take the 430 years in Egypt literally how do we reckon it? Also, how the Samaritan Torah differs, and whether this is persuasive? Is darkness a separate entity, or simply absence of light? Science vs. proofs from gemaras -- Is a question of scientific metzius as to the nature of light and dark really up for discussion, on the basis of the implications of pesukim and or gemaras?! It would seem that it indeed is, in some quarters. How the Zohar spells matzos -- How shall we spell מצות in Behaaloscha? The Zohar on parshat Bo seems to indicate that it ischaser, which goes against all known sefarim as well as the masores. But I rescue the Zohar's statement. Bo sources -- in a mikraos gedolos, and a collection of meforshim, all online, for parshat Bo and its haftarah. Darkness as thick as a dinar? A controversial Torah Temimah, and why I think it is wrong. Is Ran an apikores, by his own definition? The first part of a three-part series. I contrast Ran's statement that anyone who disputes a midrash is an apikores with his own position regarding makkat bechorot, where he argues with both Midrash Tanchuma and the Mechilta as to the meaning of bechor. Executing Judgments Against the gods of Egypt -- What does this mean? Perhaps using their deities. But no. Perhaps they were smashed during the plague of the firstborn. A parallel to Dagan. Plus, a connection to fertility, frogs, midwives, and middah kineged middah. See that Ra is against you -- Rashi, as a star, but could we interpret it as a reference to the Egyptian deity? Everyone vs. Every House -- A lengthy, close analysis of several midrashim and pesukim about makkat bechorot. Recommended. 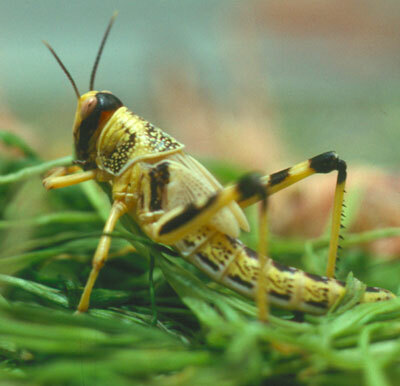 All Quiet On The Kushite Front -- How the locust plague made peace. And how to generate every detail of this midrash. How far did Pharaoh's voice carry? According to one midrash, when calling for Moshe, all across Egypt. A textual basis for this. Yoel to Moshe: My Locusts Can Beat Up Your Locusts -- Who had meaner locusts? Two pesukim appear to contradict one another, saying that these locusts are the worst ever. How to resolve such that both are the worst? Different approaches. A humorous homiletic approach. Measuring in different vectors. Or for variety (though there is a difficulty with this approach). Rashi locally and his supercommentaries take this on. And then Rashi in sefer Yoel has a different approach (that they came in waves). 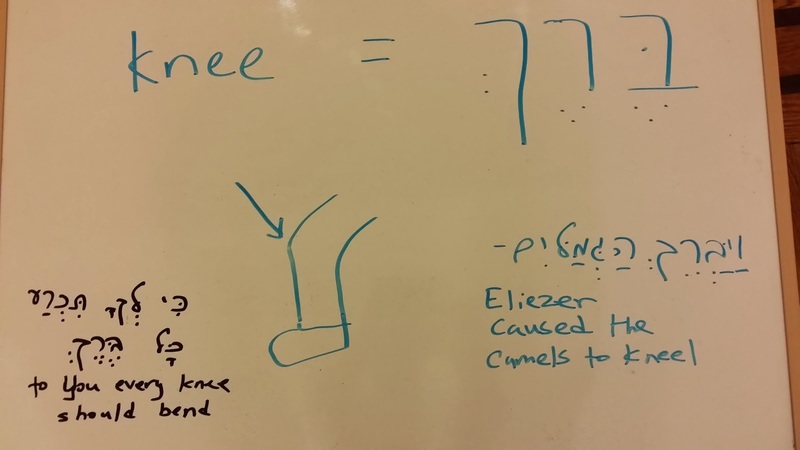 Finally, my two peshat-based approaches: 1) it is an idiom used in both places, and thus there is no contradiction, and 2) Yoel's locusts are not literal locusts but rather an invading army on horseback. Pharaoh's Servants' Hearts -- Though usually we hear of Pharoah's heart hardening, etc., once Hashem says that he has hardened the hearts of the servants. What cause to mention this? How does this fit in in general. Also, the same pasuk mentions that Hashem will show his signs in his (/their) midst. How can something be in the midst of one person? How Did Moshe Know the Next Plague Would Be Locusts? If Hashem does not explicitly tell him? It was on the staff! Or from a gezera shava to Yoel. Or it was told to him but the pasuk doesn't mention this. See inside. Further thoughts on foreknowledge of plagues -- Based on the above. Doesn't Moshe see one additional letter on the staff? Thus, wouldn't he know that makkat bechorot is coming? Then how come he seems not to know? A Simple Count -- Headaches in deciding how long the Israelites were in Egypt. Constraints based on the fact that Amram married Yocheved, the (literal) daughter of Levi. A quasi-heretical solution and a midrashic solution, such that she was not literally the daughter of Levi. Could Pharaoh have simply let them go? Really just one quick thought, in several parts. I am not going to flesh it out with all the prooftexts I want to because that version of the post was getting too long. It was Hashem's plan from the ברית בין הבתרים to judge the Egyptians, and to despoil Egypt: וְגַם אֶת-הַגּוֹי אֲשֶׁר יַעֲבֹדוּ, דָּן אָנֹכִי; וְאַחֲרֵי-כֵן יֵצְאוּ, בִּרְכֻשׁ גָּדוֹל. And to do so with 10 plagues, which were inscribed from the beginning upon Moshe's sapphire staff. Moshe was unaware of this which is why he went to Pharaoh expecting him to listen. And why when that fails he complains to Hashem about הֲרֵעֹתָה לָעָם הַזֶּה--לָמָּה זֶּה, שְׁלַחְתָּנִי. ט וַאֲנִי יָדַעְתִּי--כִּי לֹא-יִתֵּן אֶתְכֶם מֶלֶךְ מִצְרַיִם, לַהֲלֹךְ: וְלֹא, בְּיָד חֲזָקָה. 19 And I know that the king of Egypt will not give you leave to go, except by a mighty hand. Could Pharaoh have let them go, at Moshe's initial request? Well, perhaps he could have, but logic dictated that he first confirm that Moshe was not some random religious lunatic but actually had the force of God behind him. Maybe even the need for the first few plagues could be understood in this manner, for so long as the magicians were able to duplicate it, it could be understood to be magic or else trickery. Once they say that it is the "finger of God", then there was no more denying it. Yet Hashem repeatedly hardened Pharaoh's heart. This could be understood as giving it strength not to melt in the face of a contest with God. Consider that Iyov was exceptional in this regard. Most people don't have the strength of character to stay in a fight in which they will certainly be obliterated, for the mere principle of the matter. And here, could we even say that Pharaoh thought he was right? He was egotistical, perhaps. Alternatively, we could understand it as Hashem taking away Pharaoh's bechira. Because as it states in Mishlei, פלגי מים לב מלך ביד ה' על כל אשר יחפץ יטנו. And this elimination of bechira is a way of controlling the world at a macro level. How could Hashem punish Pharaoh if He had removed Pharaoh's bechira? Pharaoh and the Egyptians had behaved wickedly enough until this point. The removal of the bechira, like the cutting of a brake line, as Egypt sped towards its destruction, was the punishment. What does Hashem "get" out of this, that he should harden Pharaoh's heart? Well, a fulfillment of his promise at the ברית בין הבתרים. But I think it is more than that. We mention Hashem's greatness in primarily two things: the Creation of the world, and the Exodus from Egypt. Until this point, Hashem was "merely" the Creator. This creative act wasn't witnessed by anyone, and it seems plausible that various nations could even attribute this feat to their own local deity. 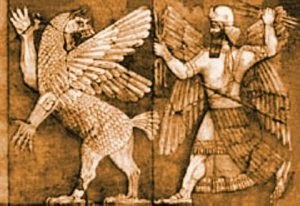 For example, Marduk slaying Tiamat and making from her ribs the vault of heaven and earth. Now people (Israelites, other nations) could point to these great Divine deeds and start to understand, with their limited human capacity, a tiny bit of Hashem's greatness, and ask אוֹ הֲנִסָּה אֱלֹהִים לָבוֹא לָקַחַת לוֹ גוֹי מִקֶּרֶב גּוֹי בְּמַסֹּת בְּאֹתֹת וּבְמוֹפְתִים וּבְמִלְחָמָה וּבְיָד חֲזָקָה וּבִזְרוֹעַ נְטוּיָה וּבְמוֹרָאִים גְּדֹלִים כְּכֹל אֲשֶׁר עָשָׂה לָכֶם ה' אֱלֹהֵיכֶם בְּמִצְרַיִם לְעֵינֶיךָ? And no longer could a Pharaoh say -מִי ה אֲשֶׁר אֶשְׁמַע בְּקֹלוֹ, לְשַׁלַּח אֶת-יִשְׂרָאֵל: לֹא יָדַעְתִּי אֶת-ה, וְגַם אֶת-יִשְׂרָאֵל לֹא אֲשַׁלֵּחַ. Rabbi Yedidya Berzon: Let's Do It! Rabbi David Fohrman: Did God Take Away Pharoah's Free Will? Rabbi Barry Gelman: Did God Afflict The Jews As Well? Dr. Rebecca Press Schwartz: What Was the Purpose of the Plagues? Rabbi Netanel Wiederblank: Can a nation lose free will? Rabbi Avraham Gordimer: You are bringing sorcery to Egypt! Thus, take עַתָּה as now as opposed to later. He will be involved in the first step but not the later step. Which is perhaps surprising because didn't he lose out the change of entering Israel when he struck the rock? There are answers. Instead of taking the actor in the second half of the pasuk to be Pharaoh, take the actor to be Hashem, who often acts with a יָד חֲזָקָה. Thus, עַתָּה תִרְאֶה אֲשֶׁר אֶעֱשֶׂה לְפַרְעֹה, only now will you see what I do, to Pharaoh. כִּי בְיָד חֲזָקָה יְשַׁלְּחֵם, for with a mighty hand will He send them out [of Egypt], וּבְיָד חֲזָקָה יְגָרְשֵׁם מֵאַרְצוֹ, and with a mighty hand will He drive them [the 31 kings] out of His land [Israel]. Of course, Rashi renders the rest of the pasuk in a different manner. Rabbi Eli Belizon: Can My Child Eat at McDonald's? Rabbi David Fohrman: If Midrash is Real, Why Isn't it Peshat? Rabbi Ari Kahn: Who Forgot - and Who Remembered Yosef? Rabbi Michael Rosensweig: Why was Moshe almost Killed by Hashem because of Bris Milah? Rabbi Yaacov Darmoni: What's in a Name? How do we know that לולב צריך אגד?